Rainmaking Recommendation #122: Networking Not Working? You are here: Home / Jaimie Field / Rainmaking Recommendation #122: Networking Not Working? If you have said any one of these phrases or heard yourself give an excuse similar to the ones above, then your networking is not working. Rainmaking is about creating relationships. Relationships with people who can become referral sources, prospects or clients, and networking is one of the best ways to create relationship – whether it is online or off. However, if you are going to be passive about your networking – just attending events, giving them a business card, creating a Facebook page or LinkedIn profile and never being proactive about any of these, then your networking will never work. It’s about you taking action to create the relationship. You have to be the one in control. So get their card and call them. Connect with them on social networking sites and ask questions. As for time, it can take less than 15 minutes a day to connect on a social media site and discover what the other person needs. Then try to find a way to help them. Nothing creates a relationship faster than giving something to someone without any expectation of return. 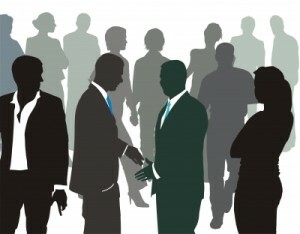 As for the excuse that you don’t like crowds, networking is truly done one on one. So instead of going to events where there are so many people that you are intimidated, go to smaller group events; find the networking meetings in which people in your niche hang out and you will have something in common with them. Take action to create that relationship – then your not-working networking will begin to work. The end of the year is approaching soon and you need your Ethics CLEs. IF YOU ARE IN A NEW YORK OR NEW JERSEY LAW FIRM (more states being added) AND HAVE 10 OR MORE ATTORNEYS, SCHEDULE AN ON-SITE RAINMAKING TRAINING SEMINAR IN 10 DIFFERENT TOPICS – EACH WITH ETHICS CLEs – SPECIAL PRICING IS AVAILABLE FOR SEMINARS SCHEDULED BY YOUR FIRM IN SEPTEMBER AND OCTOBER.